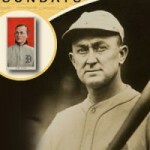 How can you go about purchasing baseball collectibles and memorabilia? One idea is to find the best sports memorabilia auction sites online and look over what they have out for bid in current and upcoming auctions. In this article I’ll discuss several of the larger, more established online auction sites that regularly sell baseball collectibles and memorabilia. One relatively simple way to find a number of auction sites is to refer to the auction schedule found here: Auction Report. This website features more than 30 auction houses focused on baseball cards, collectibles, and/or memorabilia. The current auction schedule is viewable at the upper right of the home page. A more detailed schedule may be viewed by selecting Auctions and then Schedule. A quick glance tells you that there are numerous auction sites to choose from. Some, like Beckett, Heritage, Leylands, SCP, and Steiner Sports, may be names you have heard before. Others, such as Grey Flannel, Paragon, Pristine, and Worthridge, may be brand new. The complete list of auction houses is found by scrolling down the right side of the screen. There are at least two major auction sites that are not covered by Auction Report. MLB.com operates a bit differently than many other sports auction sites. And, lest we forget, there is eBay, perhaps the most well-known auction site of all. Beckett’s Winter Auction runs through December 28. This auction focuses primarily on autographed collectibles, such as baseballs, photos, and cards, with some game-used memorabilia. They represent “30 years as a leader in the collectibles industry,” according to the About Us page on the Beckett webpage. This group specializes in sports cards, autographs, and memorabilia. Differentiating themselves from most other baseball auction sites, Clean Sweep has an online store that enhances their business site. The online store includes almost 1000 autographed items and close to 6000 baseball cards for sale. At this point in time, Clean Sweep has completed all of their auctions for 2014. They will be right at it again in 2015 with their first auction of the year closing at the end of January. This auction will feature one of Pete Rose’s game-used gloves, a number of high-end, autographed Babe Ruth items, and numerous top-quality baseball cards. Weekly internet sports collectibles auctions, ending on Sunday, are the key feature at Heritage. The upcoming next four auctions are currently open for bidding. You will find easy access to the items in each auction on the Heritage website. The About Us page on Lelands website claims that the group “is the largest and most respected Sports Auction House in the world.” Their auctioned volume of vintage memorabilia and sports cards has totaled more than $40 million over the past five years. Lelands currently has an auction taking place with bidding running until January 16, 2015. Memorabilia and collectible items include Shoeless Joe Jackson’s personal scrapbook, Ted Williams’ 1955 All-Star Game worn hat, along with a multitude of other baseball items. 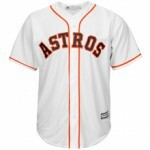 The auctions that take place on the MLB site are different than other auction sites. On this site you can access team-specific auctions that sell various team-themed collectible items, each item according to its own schedule. Prices for a good number of these items fall into the $75-300 range. You will find the team auction site list here. All items available through these auction sites are authenticated through MLB’s official authentication process. Not much need be said about eBay. Along with their normal individual-item bidding process, the eBay sports memorabilia site will also lead you to certain live auctions and collectibles special events. When you buy on eBay, be careful to check for authentication of any autographed memorabilia. EBay is working diligently to weed out fakes and frauds but it’s a wide-open bidding site, so be careful. 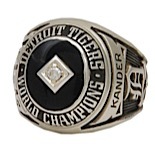 As noted above, there are many other free auction sites that feature baseball material. Eleven of the auction sites listed on Auction Report deal only with baseball cards (Baggers Auctions, Just Collect, Love of the Game, Mile High Card Company, and PWCC Auctions are some of them). Inside the Park Collectibles auctions only collectibles and RMY Auctions focuses on sports photography. So, which of these are the best sports memorabilia auction sites? It really depends on what you are looking for. Hopefully, this article has given you some insight into the world of auction houses. If you are thinking of buying baseball collectibles or memorabilia, investigate a bit. Look through the auctions, search eBay, do your homework. Then, when you buy, enjoy the prize. If you found this information to be helpful or it has peaked your interest, leave a comment below. I would love to hear from you. Great post! I hadn’t no idea about how auction houses works. Thanks for sharing your info. Thanks Sandra. This post discusses online auction houses, in particular. Many of these organizations also hold face-to-face auctions in different locations. A lot of the very high-priced items are sold through auctions, such as the Honus Wagner card I talked about in a previous post. You are very welcome, Yunier. The Marlins have made quite a splash already this off-season! It will be fun to see how they do next season with Stanton and crew. There are a lot of auction sites online but there is also an increasing amount of memorabilia and collectible items becoming available. Thanks for your note. This is a great looking website. I think my dad still has a baseball with signatures on it somewhere. I haven’t seen it in years! I wonder where it’s gone…. I have a few signatures myself, John, but mine are mostly in the old scorebook I used for every game I attended. If the ball has meaning to you (in addition to your dad), you should find it and have the signature authenticated (see my post about doing this). 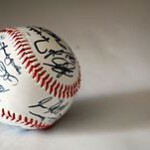 Depending on who signed it, the ball could be worth something. Great information for baseball lovers! I always wonder how people find their sports collectibles. I don’t have any experience in auction, but these sports auction sites look interesting. They are very interesting, Sylvia. There are absolutely tons of collectibles and memorabilia sold through these auctions, some for incredible amounts of money. Collectors who have huge collections of baseball memorabilia obtain a lot of what they have through auctions, both online and face-to-face. Thanks for your comment. Oh wow, I learned quite a bit from this post. Keep them coming! Will do! I have to admit that I also learned some new things about auction sites. While most large collectors have numerous ways to obtain their “stash”, they do still get a good amount through the auction process. I wrote about a really cool story involving Nuns and a single baseball card that you might find interesting.